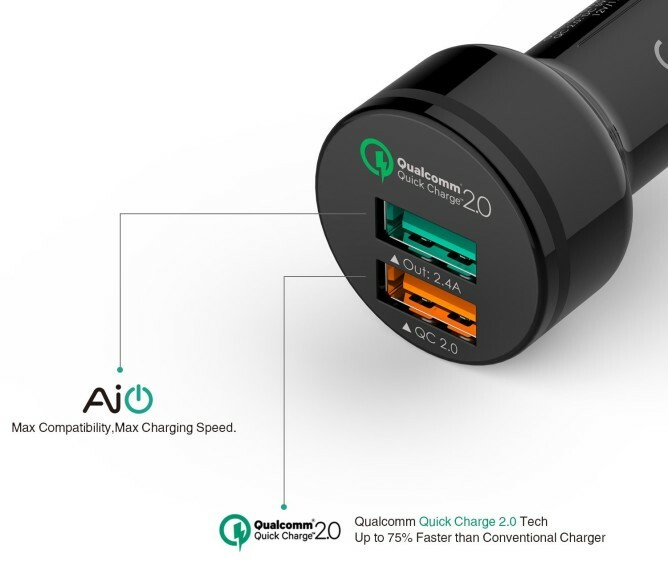 If you have been skeptical about whether Qualcomm's Quick Charging 2.0 standard is all that useful, this deal is arguably the best use case for it. How often do you head out the door for a short trip and realize your phone just doesn't have enough charge? If you could get it mostly charged in 15-30 minutes, there would be no worries. Ta-da! 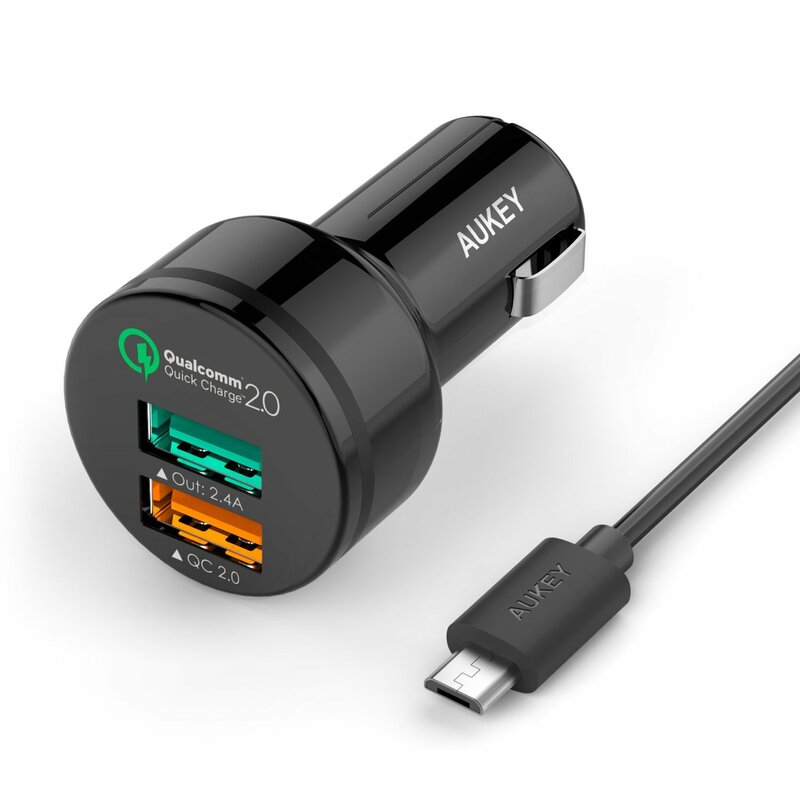 You can get Aukey's QC 2.0 car charger for $10.99 after coupon on Amazon. For those less familiar with Quick Charge 2.0, you can read our own David Ruddock's excellent explainer on the subject. Basically, it's a standard for phones and chargers that allows much faster charging without the device getting too hot. Recent releases that are compatible include the Samsung Galaxy S6, ASUS ZenFone 2, and the LG G4, but there are many others. On my S6, it can go from 0% to 100% in just over an hour on a QC 2.0 charger and from 0% to 50% in around 20 minutes (the first half charges faster than the latter). The regular price for this charger is $16.99, but entering the promo code PTV73ZPJ at checkout will reduce the final total to $10.99. Prime customers or orders that total $35 will get free shipping. As you can see in the photo, it has a port for QC 2.0 as well as another port that supports 2.4A output, which will charge tablets and other power-hungry devices pretty quickly as well. While not pictured, it also includes one 3.3 foot microUSB cord.